Grand Theft Auto V had the biggest entertainment launch of all-time last week and eventually grossed more than $1 billion in sales over three days. The sprawling, interactive world in the game took more than five years to develop, but it was obviously worth the wait. While I’m psyched to play on my Playstation 3, one of the first things I noticed was the game’s mobile presence. GTA V has two corresponding iPhone apps: The game’s official manual and iFruit — an app that allows users to customize cars for console gameplay and train “Chop,” the loyal rottweiler of one of the protagonists. These might seem like silly options on the surface, but this is a calculated move by Rockstar Games. For many gamers, especially those faithful to the GTA series, the games are more than just entertainment. They’re a social activity with friends, and many people get entrenched in the story lines while taking the strategy and problem-solving pretty seriously. 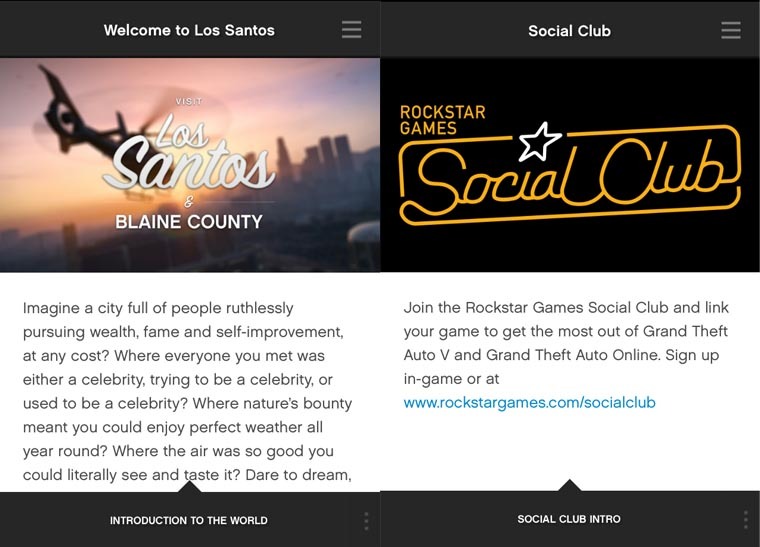 These apps are another way for customers to dive into the game, and that is a phenomenal plan by Rockstar Games. It’s easy to see they knew a mobile presence was important for what was probably the most anticipated game ever. Even if it’s as mundane as training Chop or accessing the game’s manual, the apps keep users engaged in the game while they’re on the way to work, waiting in line at the grocery store or sitting in class (not recommended). Epic games such as Grand Theft Auto V have a way of impacting users, and these apps are going to help engrain the game in the customers’ conscious — an enormous win for the developers and marketers at Rockstar Games. While some people love the interaction and extra gameplay of the iFruit app, nerds like me will swipe through the game manual app to research the Los Santos map and master the controls. Yes, I was the kid who always read the paper manual for all of his games way back when, and I’m not ashamed of it. Of course, Rockstar isn’t the first major console developer to do this, as Activision and Ubisoft have released apps related to their massive hits: Call of Duty and Assassin’s Creed, respectively. However, it’s safe to say that we can expect every major console video game release from now on to be accompanied by some kind of mobile extension.